The holiday season is near and the holiday lighting will fill the neighborhoods and store shops in the evenings. Don’t worry about going into the attic and getting the tangled holiday lights. 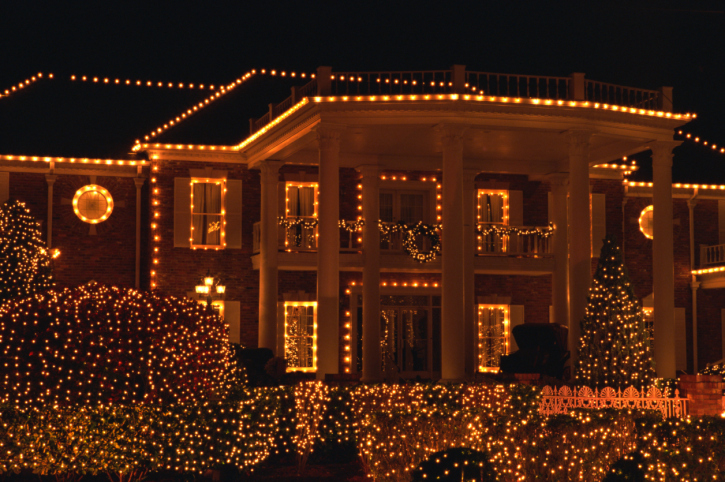 You can hire a professional lighting company to handle your holiday lighting this season. With a professional lighting company, you will have the opportunity to spend more time with your family rather than adding it to your holiday stress. You can have the custom design of your dreams for your holiday lighting as well as year round. A professional lighting company will provide you efficient and quick holiday lighting. This will save plenty of time and ensure your holiday decorations are flawless. 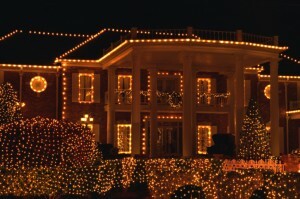 The professional will maintenance your lights and all for the holidays. Yes, this includes taking down your holiday lights so you don’t have to add the extra labor to your holiday to-do list. Custom lighting installations are a great holiday decision because the lighting system helps cut down holiday stress so you don’t have to worry about broken lights, expensive lighting repairs and other tedious holiday tasks. Scratch off holiday lighting on your to-do list and focus on shopping for gifts, holiday meals and planning your holiday party. Let Aqua Bright help your home or business stand out this holiday season with our custom professional holiday lighting. At Aqua Bright we understand the importance of holiday decoration to improve holiday sales and make a home more inviting to visitors. We will help you decorate your trees, driveways, roofs and more with eye-catching professional holiday lighting, guarantee to impress all who come by your property. Our dedicated team of lighting professionals is here to meet your need. Just tell us what you want to do with the holiday lighting and we will make it happen. Don’t risk your safety trying to hang holiday lights — leave it to the professionals. Call the experts at Aqua-Bright today. We are experts of outdoor lighting and we can help you bring your dreams into reality. Our outdoor lighting professionals have a real passion for their craft, so give them a call. Contact Aqua-Bright Irrigation & Illumination by phone at 410-489-9009 or online to schedule a consultation. Our experts will have a look at your property to identify and repair any drainage issues you may have to prevent damage to your home this winter. This entry was posted on Monday, November 2nd, 2015	at 9:42 am	. You can follow any responses to this entry through the RSS 2.0	feed. Both comments and pings are currently closed.